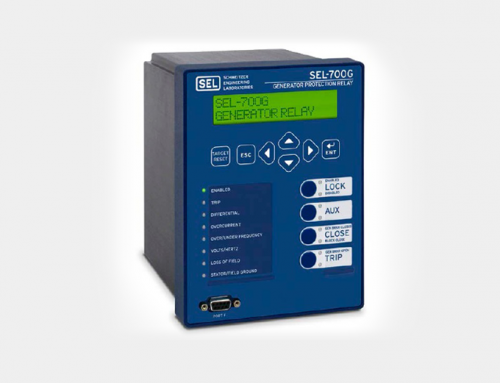 The SEL-300G, SEL-700G, and SEL-2664S Protective Relays have a selectable field ground protection element (64F) that uses the SEL-2664 Field Ground Module to acquire insulation resistance data for alarm and trip functions. 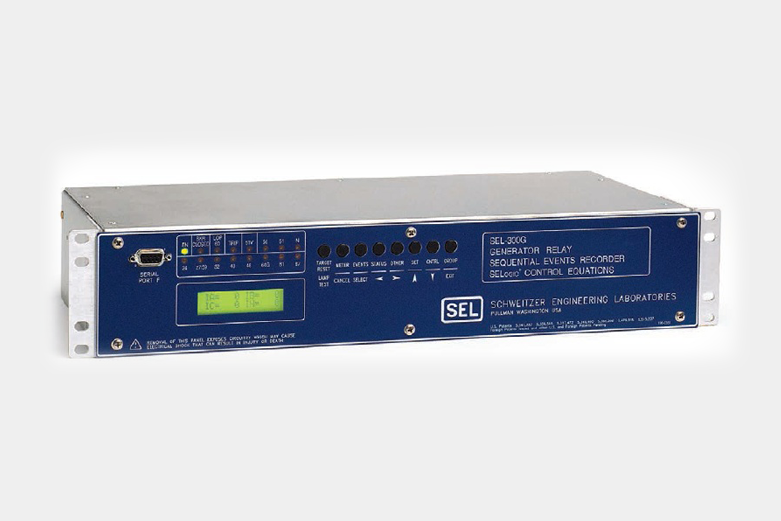 Connect the SEL-2664 to the SEL-300G as shown in the figure. 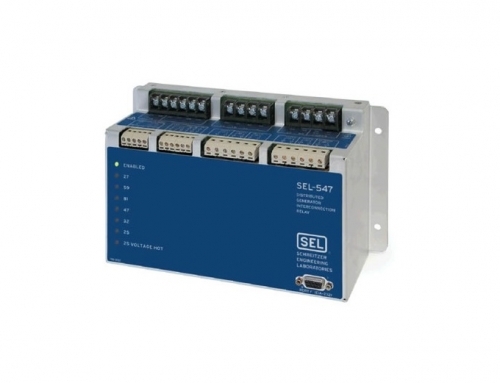 (Use a fiber-optic cable and an SEL-2812M Transceiver to transmit the insulation resistance data) On the SEL-700G and SEL-2664S relays, the fiber-optic PORT 2 connects directly to the SEL-2664. 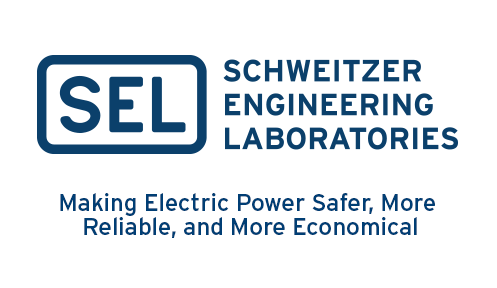 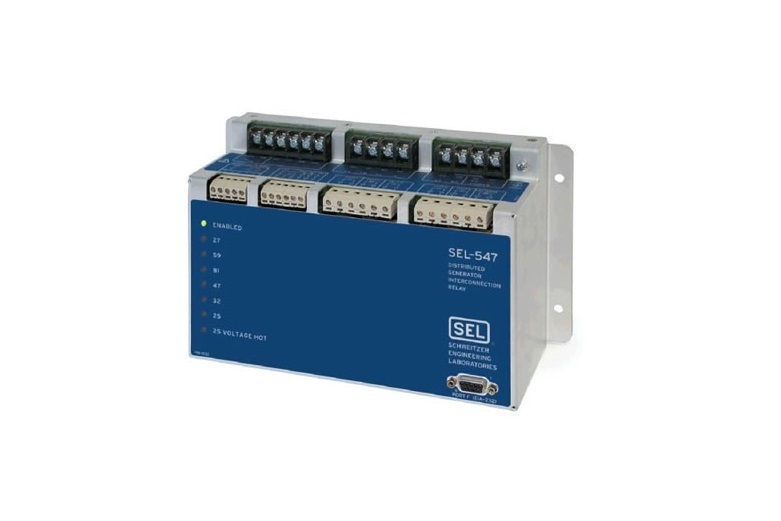 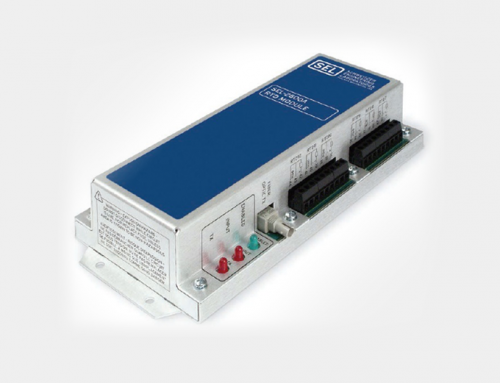 Add the SEL-2664 to the SEL-700G Generator Protection Relay, SEL-300G Generator Relay, or SEL-2664S Stator Ground Protection Relay to protect all the critical components in your generator. 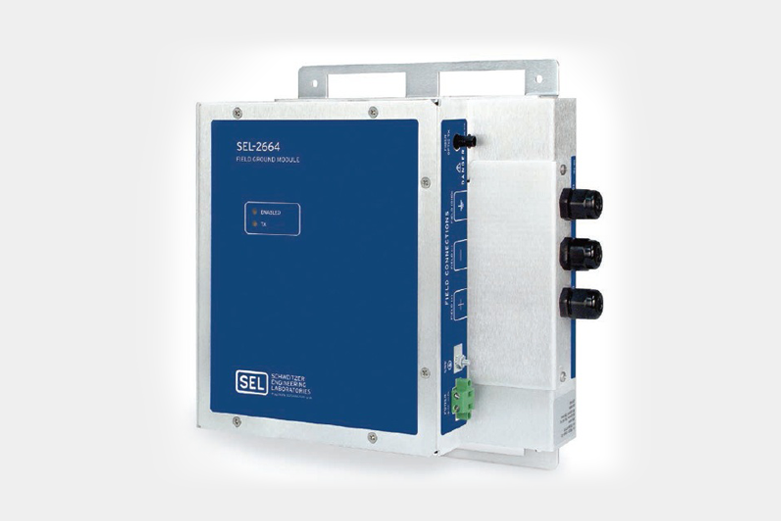 Protect your generator from excessive starting stress by detecting field ground faults prior to startup. 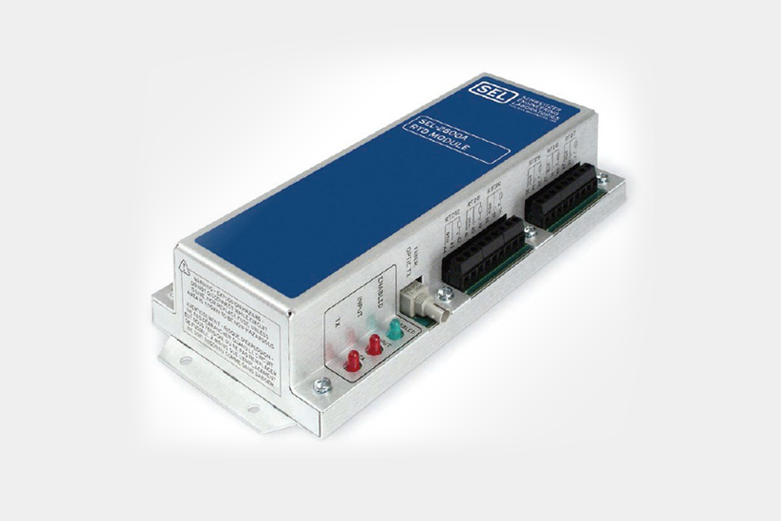 Continuously monitor resistance to ground during operation. 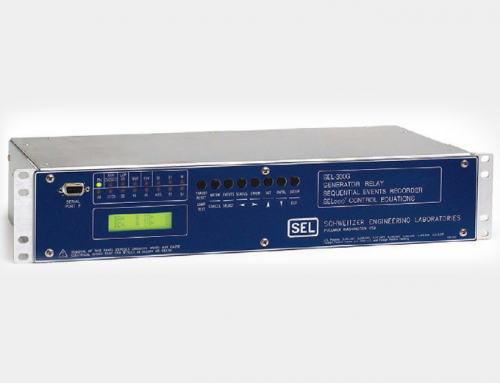 Connect the SEL-2664 to your generator field right out of the box. Simply turn on the 64F element, and set the port, alarm, and trip values in the relay using acSELErator QuickSet® SEL-5030 Software.